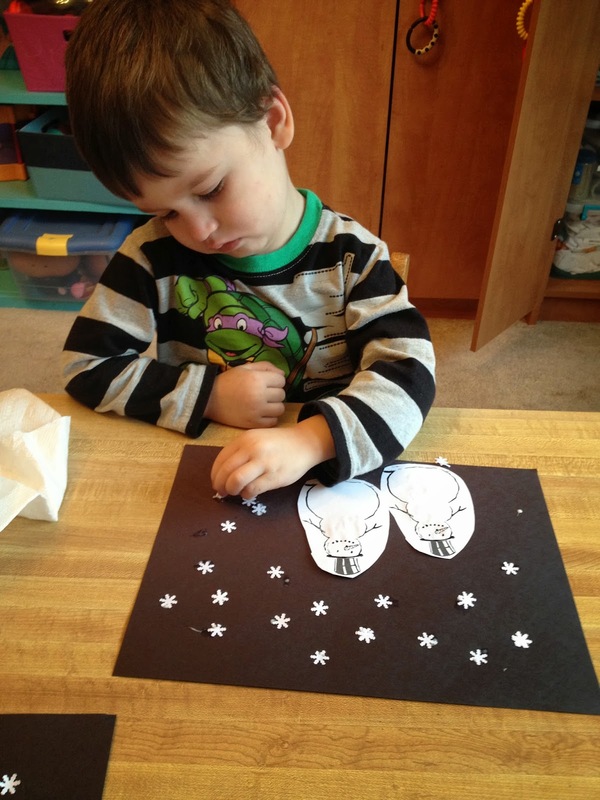 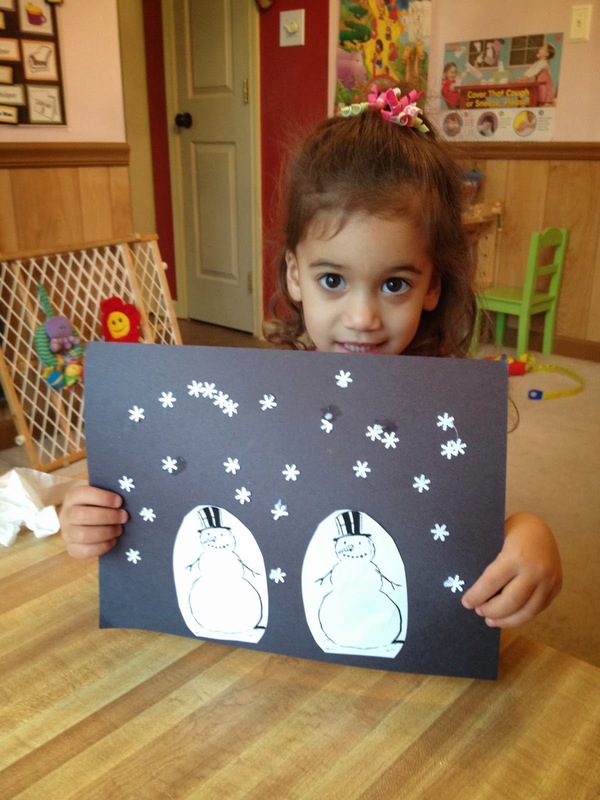 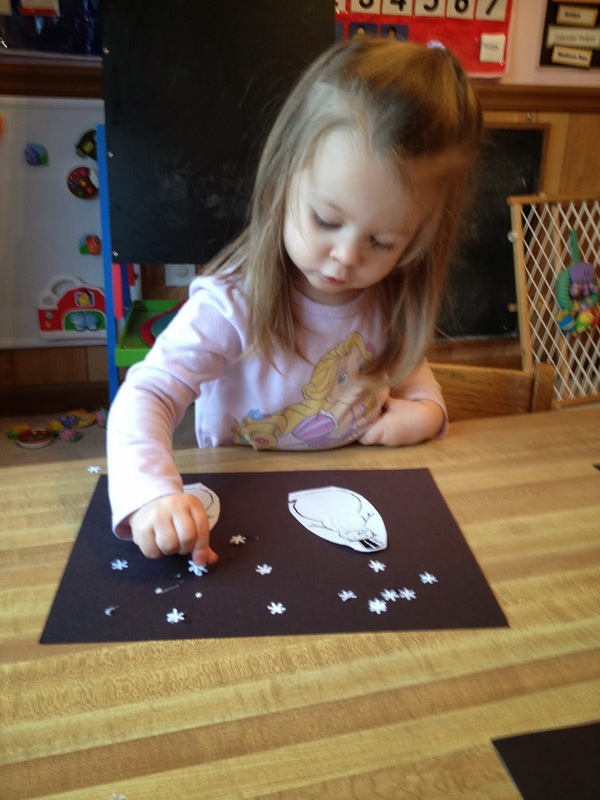 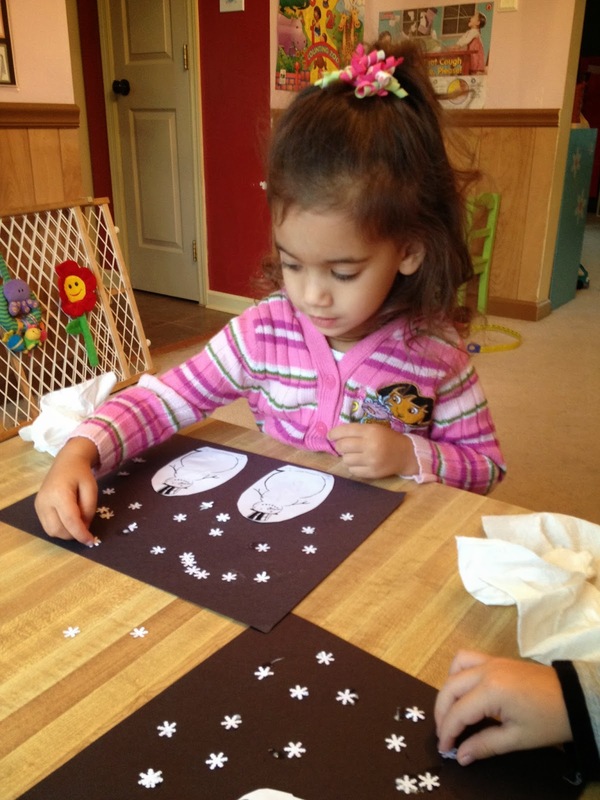 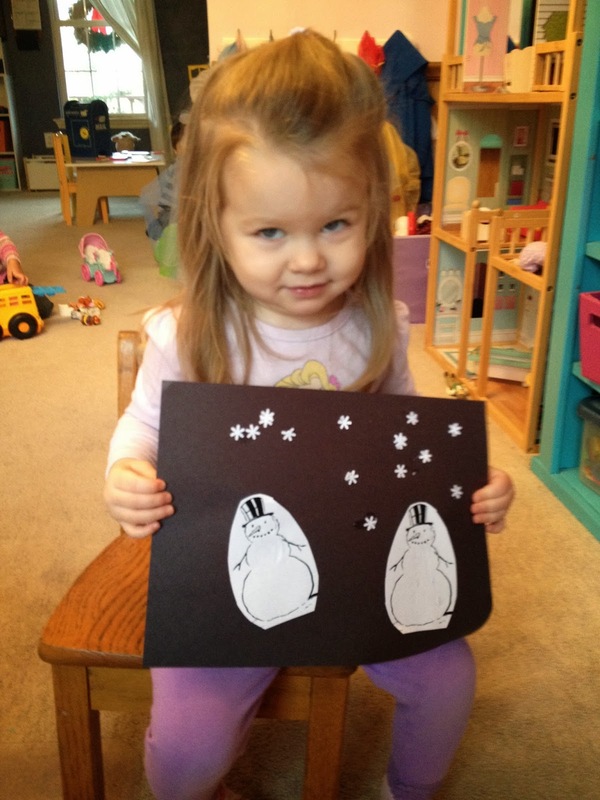 Cut out pictures of snowmen and glue them to black construction paper. I used a snowflake punch to make the snowflakes. Glue them to the paper. 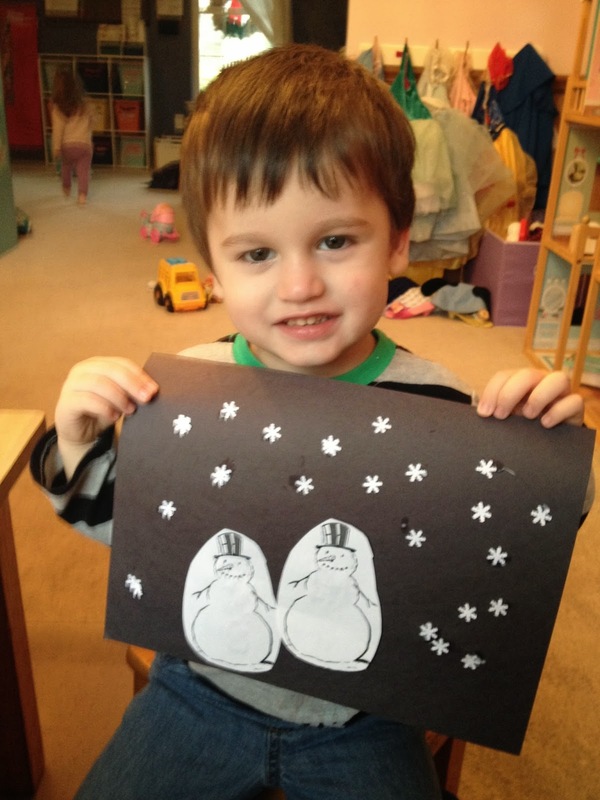 (with crumpled up copy paper as the snowballs).